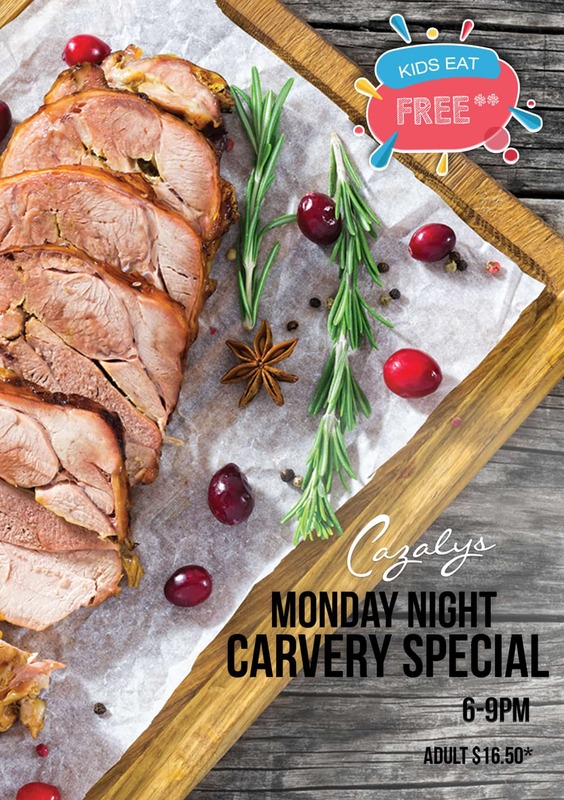 The Kids eat free at the Cazalys Cairns Monday Night Carvery! Enjoy a delicious Roast Carvery for only $16.50*pp from 6pm- 9pm and one child eats free for each adult Carvery purchased. *Members price. Members only offer. Kids 0-10yrs). T&C apply. Not available Lucky Ducks Draw nights.